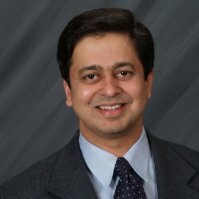 Vikas Joshi’s thesis, titled “The Coevolution of Technology Firms and Founders” examines how growing firms unleash unique developmental processes that transform founders. A successful tech founder himself, Vikas Joshi drew heavily on his extensive experience and that of other founder CEOs to build his theory. His findings describe how founders and firms influence each other. Vikas Joshi is founder, chairman, and managing director of Harbinger Group, a leading software firm serving global customers. A Harvard Business School alum, Vikas earned his doctorate at the University of Pennsylvania, where his research in entrepreneurship addressed the co-evolution of technology firms and founders. Earlier, he completed his undergrad engineering degree at IIT Bombay and masters in computer science at Syracuse University. Vikas holds two US patents based on his inventions in education technology. The American Educational Research Association, or AERA, was founded in 1916 as a professional organization representing educational researchers in the United States and around the world. It is headquartered in Washington, D.C. AERA’s more than 25,000 members are faculty, researchers, graduate students, and other distinguished professionals with rich and diverse expertise in education research. AERA’s 12 membership divisions, and nearly 160 special issue groups, reflect the wide range of expertise of its member scholars. AERA’s Workplace Learning SIG pursues the mission to explore theory, research, and practical developments in workplace learning.